This adapter consists of aDisplayPort male on one end and a mini DisplayPort female on the other. 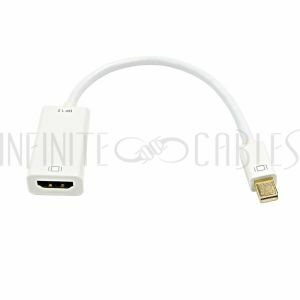 Itis primarily used to convert a mini display port connector to a full sizeDisplayPort cable. This adapter consists of a DisplayPort male on one end and a DVI female on the other. It is primarily used to connect a DisplayPort source to an DVI display. 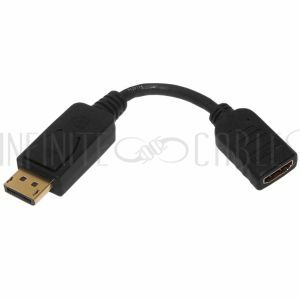 This active adapter consists of a DisplayPort male on one end and a DVI female on the other. It is primarily used to connect a DisplayPort source to a DVI-D monitor.